Mold becomes a problem to the structure of your home when it starts to grow on wood. 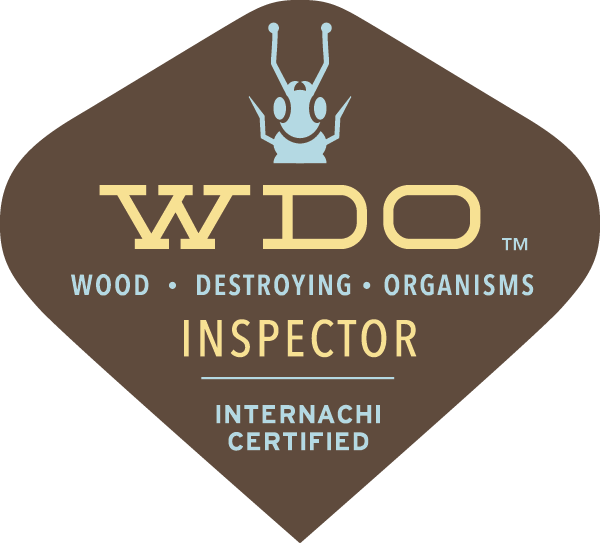 An inspector trained in wood destroying organisms can visually identify the growth of fungi/mold. Moisture is the culprit to allowing mold growth. Being able to identify the presence of mold and the conditions and causes that lead to mold growth are important in a home inspection. I am well trained and experienced in assessing the conditions and inspecting for mold, fungi, and other wood destroying organisms. Please note that no inspector can see inside walls, we can however inspects for conditions that would lead to mold growth, and know how to assess signs of mold growth. 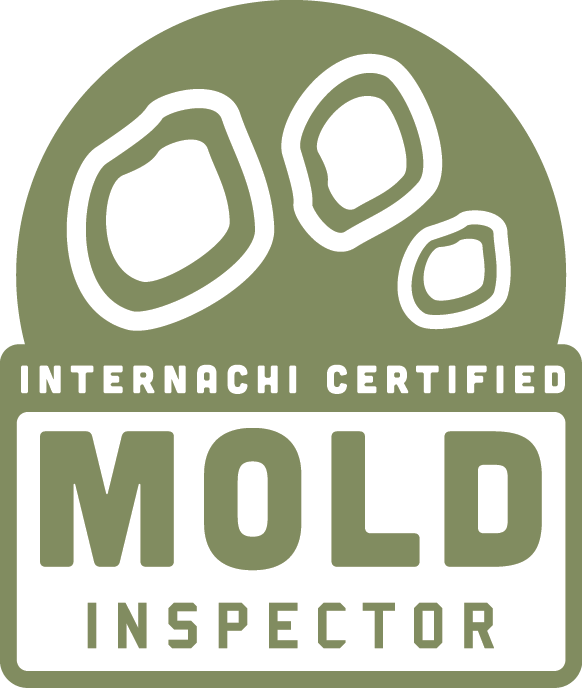 Inspecting for mold is not an added feature to my inspections, it is always included. There are over 100,000 species of mold most of which are harmless to people that do not have a sensitivity to mold. Unless the growth of mold is rampant or has already affected the integrity of the structure, in most cases mold can be remediated. I do not currently offer Radon testing as a stand alone service, only as an add on to a full inspection. Radon Test must be requested by customer at time of scheduling if desired. The Test is an additional $80 and access to the home will be needed between 2 and 4 days later. Please read the following in its entirety before confirming you would like a radon test. Radon is the leading cause of lung cancer in nonsmokers. WHEN IS THE RIGHT TIME TO TEST FOR RADON? A: The best time to test for Radon in Southeastern Michigan is during the winter months. The test should be conducted when the conditions of the home are stable and will give the most accurate reading possible. Most homes are closed to outside air in the winter making the conditions much better for testing with accuracy. WHAT IS THE BEST METHOD OF TESTING? A: There are several devices and methods for testing. They are basically broken down into two categories- Long Term Tests and Short Term Tests. Short Term Test require "Closed House" conditions for 12 hours prior to the test. They take 2-4 days. A Long Term Test typically last 3 months and provides a much more accurate reading of the long term conditions present in a home. IS A SHORT TERM TEST WORTH DOING THEN? A: I apologize for the length of the answer but it is a matter of health and a more complex precess than most buyers or agents realize. Radon Levels Fluctuate Wildly! During a single day, the concentration of radon gas in indoor air varies and may easily double or triple. It also fluctuates greatly from day to day, week to week, and season to season. Radon gas is drawn from the ground into homes by differences in concentration, air pressure, and temperature. This force largely depends on the weather and ground conditions outdoors. The indoor radon level is thus affected by barometric pressure, strong winds, rain-soaked ground, snow cover, the season, heating and A/C systems, house construction, open windows, etc. “False positive” – the test result is above 4 pCi/L although the long-term average is below it. The homeowner may “waste money” on a radon mitigation system. However, EPA recommends that homeowners consider fixing their home if the radon test is above 2 pCi/L and explains that radon gas is unsafe at any level. Therefore, reducing the radon level is not a waste. “False negative” – the test result is below the Action Level but the long-term radon level is above it. The homeowner may decide not to mitigate although he should. This will increase the health risk to the entire family. Therefore, homeowners should follow EPA’s other recommendation to “consider” reducing radon if the test result is above 2 pCi/L. PLEASE NOTE - I as a home inspector can not be held responsible for false positives or false negatives of a short term test. By the very nature of the test they are not accurate enough to make a decision about your long term health. As a matter of public health policy, short-term radon tests are valuable for raising public awareness and for screening of the housing stock. They may not provide a clear answer to the individual homeowner but will save lives by encouraging homeowners to reduce the radon concentration in their homes. Considering the wide fluctuations in radon level, the difference between 3.5 and 4.5 pCi/L short-term results is meaningless. The long-term radon level may easily be a double or a half of that. Then a short-term test result of around 4 pCi/L means that the actual long-term radon level is very likely in the 2 to 8 pCi/L range. When the short-term result is in the "gray area" of 2 – 8 pCi/L, it is a game of roulette for the home seller and the new homeowner. If the short-term result is 4.1 pCi/L, the seller of a house may be asked to spend money on radon mitigation although the actual long-term radon level may be below 2 pCi/L. Although this may be unfair to the seller, a reduction in radon concentration to below 2 pCi/L would certainly benefit future homeowners. On the other hand, if the short-term test is 3.9 pCi/L, the actual long-term level may actually be double that. The potential buyer should get a long-term test kit, or better yet, work to reduce the radon level to below 2 pCi/L in order to provide a healthier home for his family. Test the radon level in your home every year or at least every two years, as EPA recommends. The underground flows of radon gas change over time, particularly if there is construction nearby. If the short-term radon test result is below 2 pCi/L, it is almost certain that your home meets the EPA Action Limit. If the short-term test is above 8 pCi/L, it is very likely that it exceeds the Action Level and you need radon mitigation. THIS SEEMS LIKE IT COULD BE A LONG PROCESS, OTHER INSPECTORS DO NOT GIVE ME THIS IMPRESSION, THEY SAY THEY CAN give accurate results quickly. A: I am sorry to say they are not giving you the whole truth. Radon and it's effects are nothing to rush through to make an extra quick buck. If you do go with another inspector please conduct a long term test once you move into the home. Radon can not be accurately tested with any amount or type of equipment in a few days and absolutely never will you be able to get results on the spot in a few hours of testing. Good news - The cost to fix is not out of reach. The optimal testing conditions are really months before the home is about to switch hands, or after the home has switched hands when a long term test can be conducted. The good news is that even homes with very high levels of Radon can be brought to low levels with Radon Mitigations techniques that usually cost between $500 to $1600. If your home has elevated levels of Radon it is not unusual. About 14% of home in Southeast Michigan will have levels above the EPA's suggested actionable levels. CAN YOU TELL ME IF I HAVE A RADON PROBLEM BEFORE CLOSING? A: With 100% accuracy the answer is no. I can not and neither can any other service. Please see the chart below comparing short-term and long-term radon test results in a house during a period of two years (courtesy of St. John’s University). The house has a somewhat elevated radon level above the U.S. EPA’s "Action Limit" of 4 pCi/L as revealed by the two year-long measurements. It should be repaired. About 40% of the short-term tests incorrectly indicate that the radon level is below the Action Limit (“false negatives”). Although the home should be mitigated, the homeowner may feel confident that there is no radon problem. Even the 90-day radon tests show false negatives in two out of eight tests (or 25%). The safety and health of my customers is much more important than making a fast buck or giving a less than truthful answer. Although this information may not have made your concerns dissolve I promise that I have not reshaped the truth in order to sell you a service. Absolutely no equipment can accurately test in one day. The method I use is on par with the highest rated methods for short term radon testing accuracy (as reported by an independent scientific testing firm used by Consumer Reports in a recent study). If you care about your health but will not be able to afford the possibility of a need for a radon fix in the near future don't buy a house yet, save your money until a $500-$1600 fix isn't going to break the bank. Radon is relatively easy to alleviate, but you must test to know if it is there. A drinking water quality test can be conducted at your request for an additional $45. The service must be requested when scheduling. To test for bacteria the test takes 48 hours before results can be analyzed and reported. The test is not exhaustive or cover every possible contaminant. For an exhaustive level test you should contact a water quality lab licensed in the state of Michigan. At this time I do not conduct septic inspections that require taking soil samples of the septic field, digging in the lawn for location of septic components, or opening the septic tank, I do not open the well, or inspect pumps inside of wells. To perform a septic inspection you must be certified in each county you work in separately. As I work in at least 4 counties it is not financially feasible for me to hold certificates for that many counties. All septic and well inspections are best scheduled through a certified company in the county the home is in. A full septic field and well and pumping system inspection can take up to 2.5 hours (typically with two people on the job). The best course of action is to schedule both a home inspection and well inspection at the same time if possible.